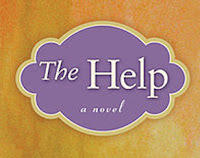 The Help is a contemporary novel discussing the strained relationships between white privileged housewives and their black house maids. The story is set in 1962, Mississipi - and with just that information, you can practically guess the tone, pace, and mood of the novel (and if you'd like a little bit more information - the novel rocked the book club world). Three narrators guide us through the novel; a black maid named Aibileen, who is raising her seventeenth white child and is mourning the death of her son. A white lady named Skeeter, who is so desperate to become a famous journalist, that she decides to collect interviews of black maids and their experiences, and there is Minny, a smart-mouthed black maid who basically brings some much needed flavour and humour to the narratives. All three unite to fight the prejudice, misinformation and oppression that they witness, are affected by and fall victim to. We're given an insight in to desperate housewives - who take their frustrations out on the help. I had downloaded this book through sheer desperation. I was leaving on holiday, had already packed paperbacks, and needed some audiobooks to get me through the lazy days. 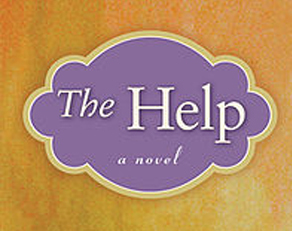 An hour before we left to go to the airport I was scouring through Audible's recommendations and came across The Help. I downloaded it, pretty much after reading the blurb and did not begin it until a week in to my holiday. The producers of this audiobook did an amazing job. They brought together four different narrators to take on the different voices. All narrators used a southern accent which just added to the mood and tone of the novel. Stockett's writing, although good, was accentuated by these beautiful voices. So, what did I think of the story? Well, it's a hard one. 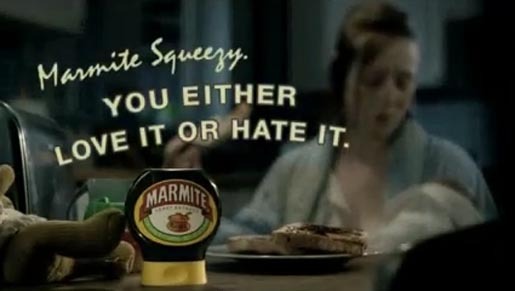 Whilst other people have found The Help to have a Marmite effect. I find myself, at times, balancing on a fence and occasionally falling off one side, only to clamber back up to the middle again. I loved it. I hated it. At the same time. I loved the writing. I loved the distinct voices of the characters. But I hated the clichéd voices, and the clichéd writing. I hated the obvious dichotomies of 'goodie' and 'baddie' but I also found that the lack of complexity made the book an easy read - perfect for holidays. I did, though, find the story uncomfortable. It was the recurring 'mammi' figures. The recurring 'white saviour' theme and the author's inability to represent the side of the privileged white housewives. It's not that I particularly want to hear what Hilly has to say, but, if we had heard a little more of what she had had to say we could hate her for what she is, rather than the stereotype she represents. There were some massive changes happening throughout the United States during the 60s that I feel were not even alluded to. Although, some may argue that the very fact the maids plucked up the courage to be interviewed by Skeeter - that in essence they're contributing to the tension brewing during the civil rights movement. But I feel, just a slight acknowledgement that there were black people at the time not waiting for whites to 'tell their story' but were actively putting their lives at risk, and demanding and taking their rights. As the author has seemed to try to keep things a little light it did not ask the ultimate and most uncomfortable question of all.... if we had been white, privileged little housewives in 1960's Jackson, Mississippi, would we be joining them in their prejudice? Stockett was very successful in both mixing real funny moments, and moments that were quite devastating to read. Although the book had quite a morose tone to it, she still exhibited moments of hope. If I applaud Stockett for anything it is her ability to control her characters - I did believe them (except one), I even believed Hilly Holbrooke - I just wanted to know a little more about her and her psychology. It was Constantine - Skeeter relationship that I had a hard time believing, I just didn't really 'get it'. I was also quite impressed how she touched upon the pressures and oppression that all characters are victim to, whites and blacks. So overall, I loved and hated it. I know - not the best place to stand when reviewing a book, but it's where I stand; balancing, holding an umbrella on a fence.